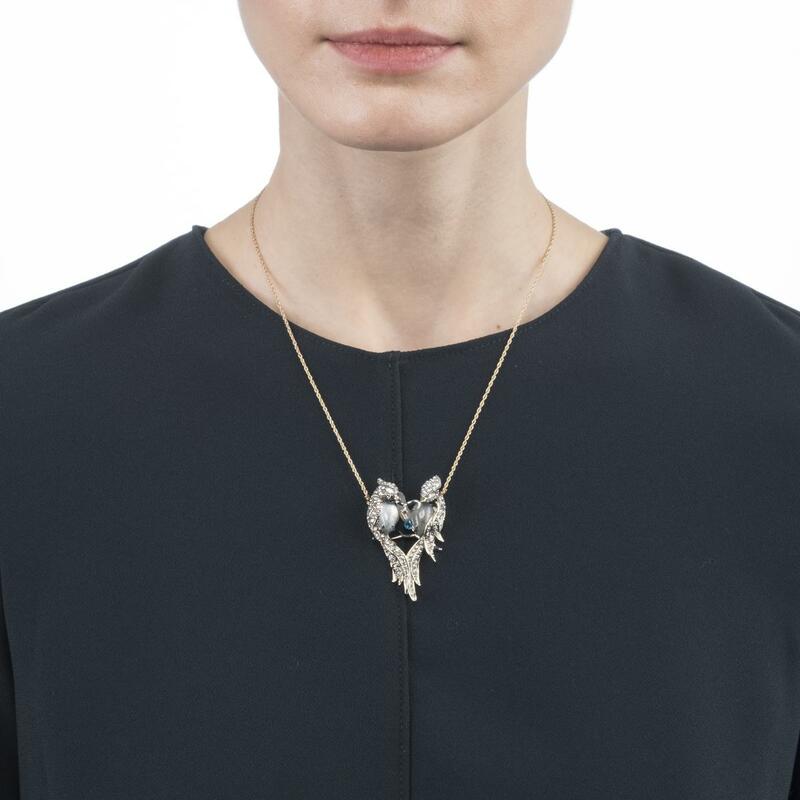 We check over 450 stores daily and we last saw this product for $131 at Alexis Bittar. 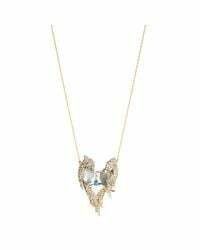 Diamond, Sapphire & 14k White Gold Necklace/17"
Crystal encrusted lovebirds motif dangle on this romantic pendant necklace featuring semi-precious stones. 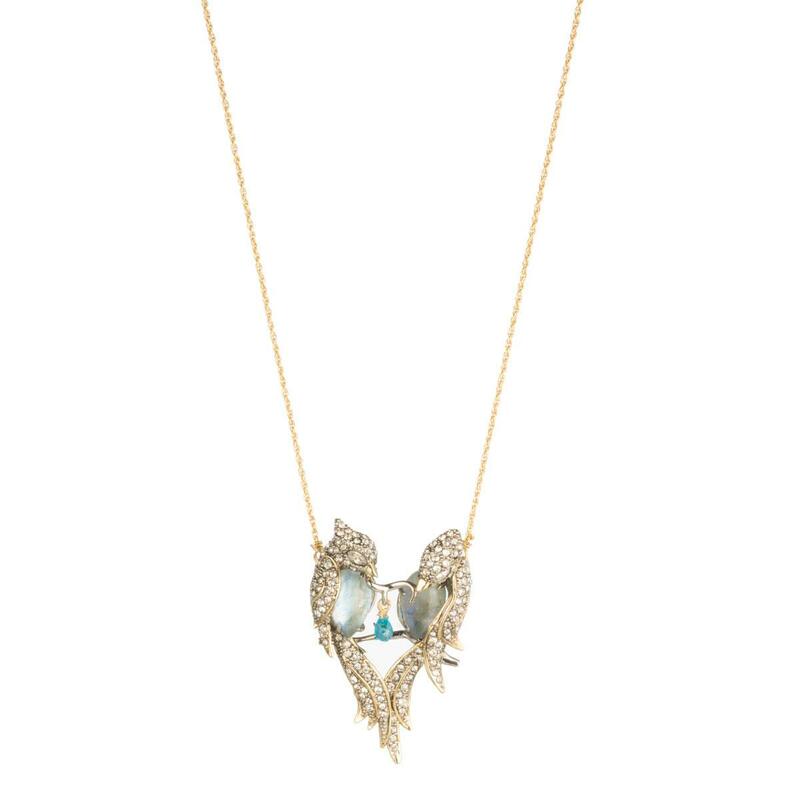 Labradorite Doublet, Cubic Zirconia, Crystal Accents, Antique Rhodium and Gold Tone Plated Brass. 16" width with 3" length extender.